Kotobukiya has posted a preview for an all-new Star Wars Statue that has made its debut at Star Wars Celebration 2017. 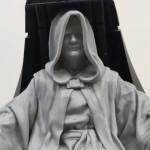 They are releasing a Star Wars: Episove VI – Return of the Jedi – Emperor Palpatine ARTFX+ Statue. 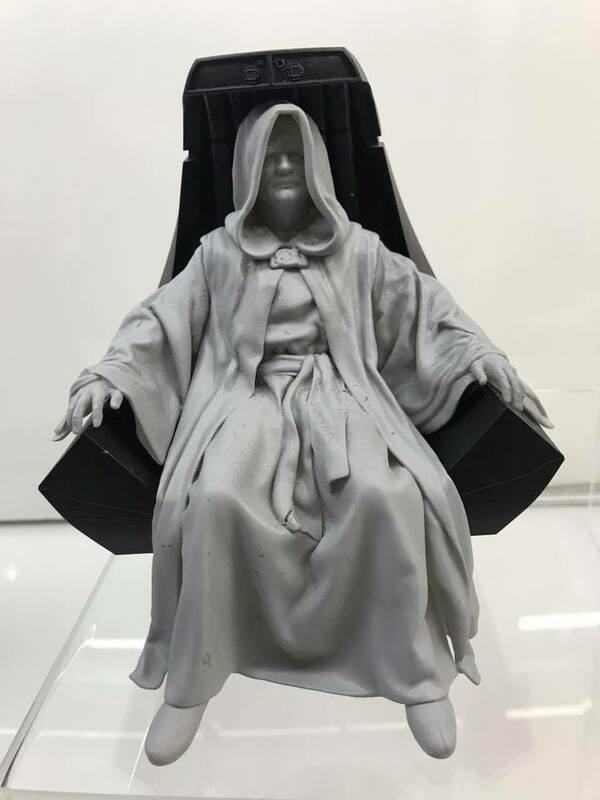 The photo posted shows off the unpainted prototype. 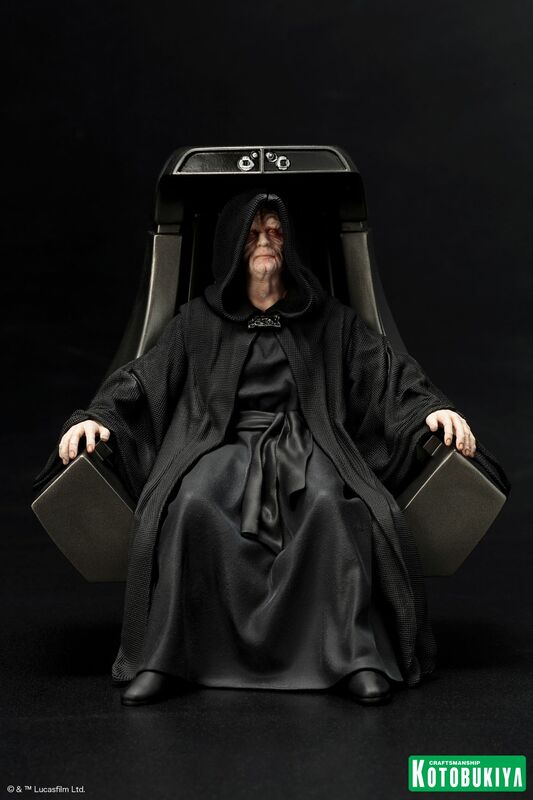 Palpatine comes seated in his chair from the Death Star in the final film of the original trilogy. No release date or additional details were available at this time. We will update as new info is released. Click the thumbnail for a larger look at the statue. About what scale does this seem to be in? I know there's a difference between their FX and FX+ lines. I'm wondering if that throne might be able to be reused for anything else. Looks a lot like Bowen's statue, which I liked a lot. Welp, they beat everyone else to it so I'll take it. The size makes it difficult to incorporate with 1/12 tho. 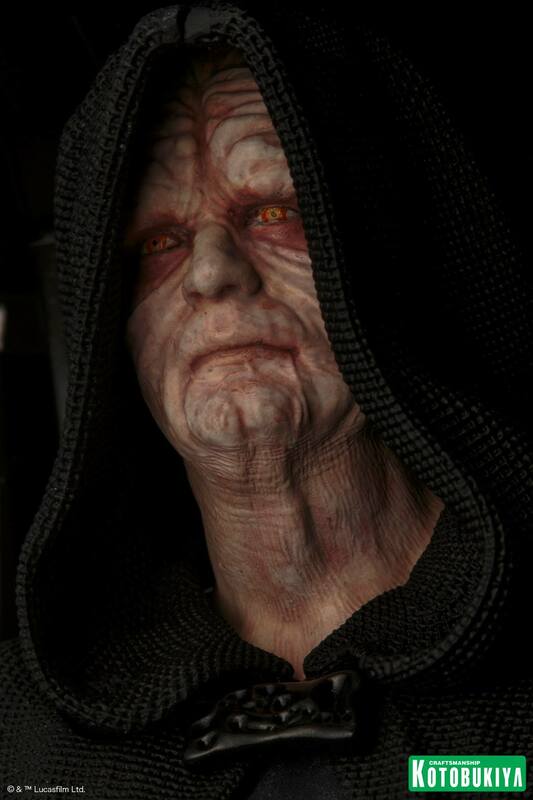 This might be something to put as background to 1/6 Vader instead. Sign me up! Preordered. Going to look beautiful in either my den or living room. It looks amazing. I may be able to over look the 5" scale for it.